I recently wrote a comment on The Voice about who I was before February 2008. After some of the girls read it, they said it could have been an article. I said to myself, “Why not?” But perhaps who I was before David is not important: what’s important is who I am now, thanks to him. David disrupted the daily life that I had established for myself. I almost never listened to music. It didn’t interest me much, particularly music in Spanish. I remember my dad listening to an album of Louis Armstrong and I loved it. I didn’t understand the words but I loved his voice. Then my dad passed on and I became the head of the family and since then, my life was work, work, work. So much that I had to leave my college studies. As a little girl I asked my mom and dad, “What else is out there?” When I became an adult I asked myself the same question. This can’t be all there is in life; there has to be something more. After a while, I stopped asking and just accepted my life. I locked myself in my own world, took care of my responsibilities and nothing more. Then one day in February 2008, someone entered my life without permission or fair warning. He just came in and stayed with me. 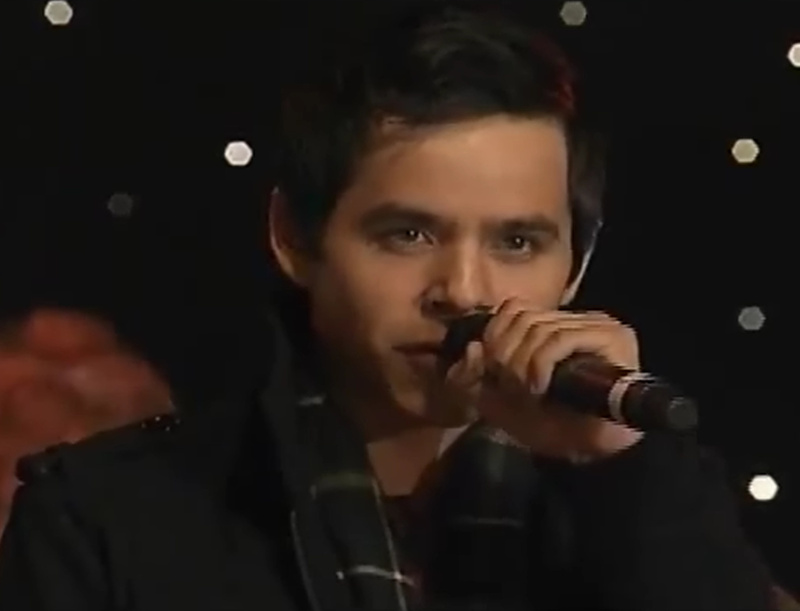 Like all Latinos who don’t speak English, I didn’t understand what he said, but there was something in his look. I’m not sure how to describe how confidence looks. 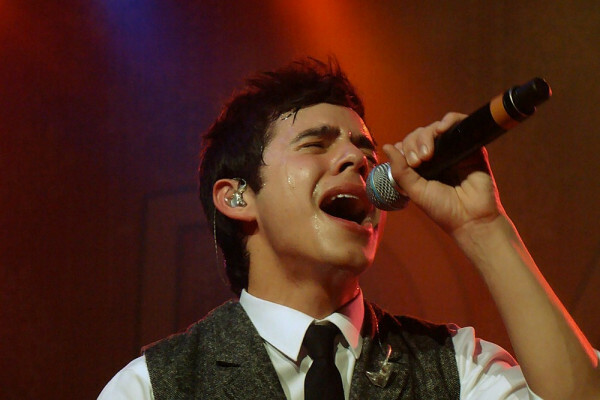 I only know that when David sings, I believe him. I felt like a teenager again. I started to dress differently, even communicate differently. I thought I should get to know people before deciding whether or not I liked them. I didn’t want to dislike someone without even knowing them, like I did before. I’d ask myself “Why do I dislike this person if I don’t know them?” (David said this in an interview.) I started to listen to music again. I began to discover that not all moments of happiness need to be huge moments. And they don’t even have to be mine; the happiness of others can make me happy too. I learned to use social networking to communicate with friends around the world. 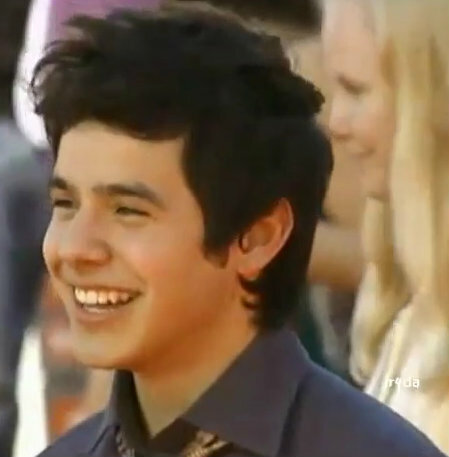 I remember being at a meeting the night David was going to sing a Spanish song at the ALMA Awards. The time was set for 7pm I think, but there was something wrong with the station schedule and I spent the whole day worrying that I might miss it. I asked at work if I could leave a little earlier. My instincts were right. When I got home I turned my computer on an hour earlier, at 6pm, as they were announcing David. 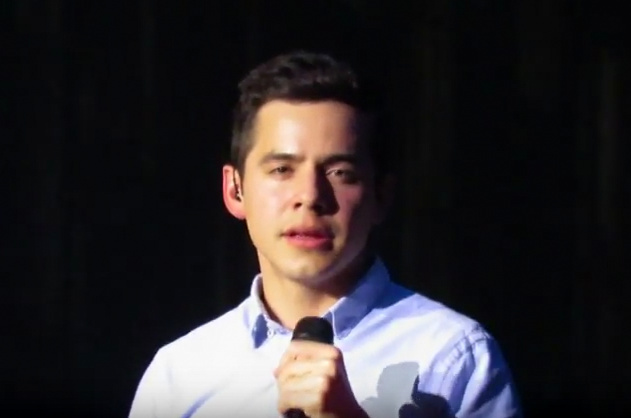 In that performance of “Contigo En La Distancia,” we witnessed the glory and passion that is a David Archuleta performance. I wish I could share all my stories of how David changed my life. I was traveling in a taxi to see a client and got a text message from Julieta, whom some of you may know from The Voice Unplugged. She said “They announced David is singing with Jordin in a few minutes!!!!! Hurry uuppppp!” Out of character for me, and just like in a movie, I told the taxi driver, “I’ll pay double if we leave here now and you get me to my house in 10 minutes!” hahaha. My God, what memories! I made it home just in time! After accepting David as part of my life, I had to also accept that I didn’t understand why he was there. But I don’t let it frustrate me; I take it as a challenge. I started using Google Translator to understand everything I read about David and for a time it was enough. But not being able to understand the interviews was killing me. I wanted to understand what he was saying and I wanted to know why everyone looked at him with adoration every time he opened his mouth. I started my English studies again. And now I think the circle is closing. What lies ahead? Beyond being a David fan, beyond the desire to discover new friends and a new world, a life full of possibilities that are now a reality? David plants seeds in fertile soil, under the sun, in the rain, during cold weather and snow, sick with fever, tired, at times almost voiceless, but always with a smile, always prepared. I believe that three years of planting has been enough. Now David, it’s time to harvest. But we all know that David will never stop planting seeds, with every song, every appearance, and every contact with his fans. Looking back, I believed that I was living a nice comfortable life but now I realize that I existed in a shell while life continued around me. It’s said that things happen for a reason. I know that I’m a lucky person to have David in my life. David opened my eyes and showed me that I had many roads to choose from, that nothing is impossible. Now I stand straight, swallow hard, and take my first steps down the road I have chosen to follow. Who knows, this may be that first step that leads me to see David in concert. Anything and everything is possible. Gladys is a guest writer and long-time commenter on The Voice. She lives in Argentina. 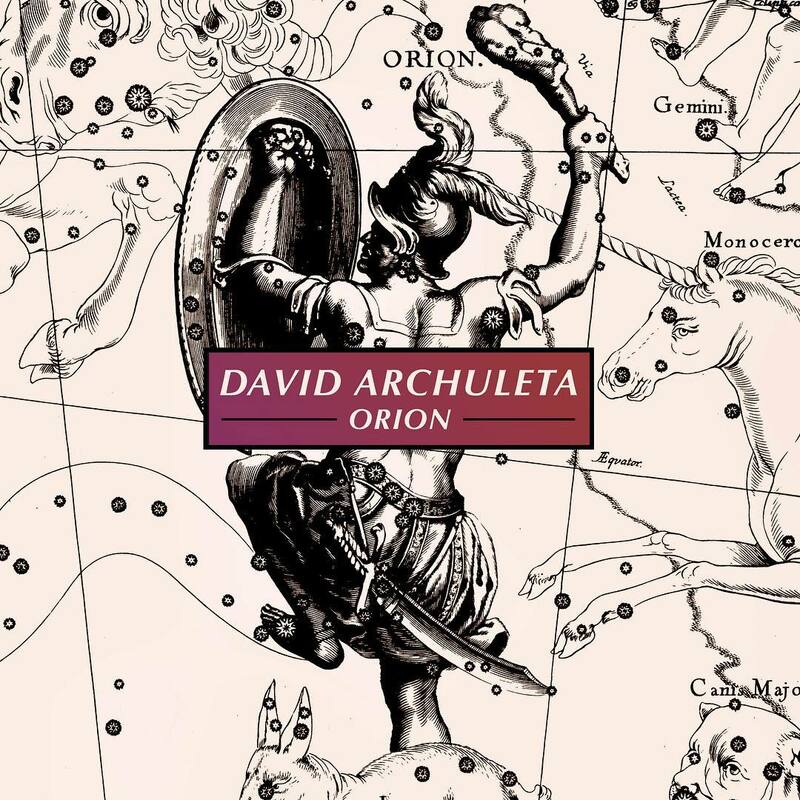 This entry was posted on Wednesday, October 5, 2011 at 12:57 AM	and is filed under David Archuleta, Editorial, Guest writers, The Voice. 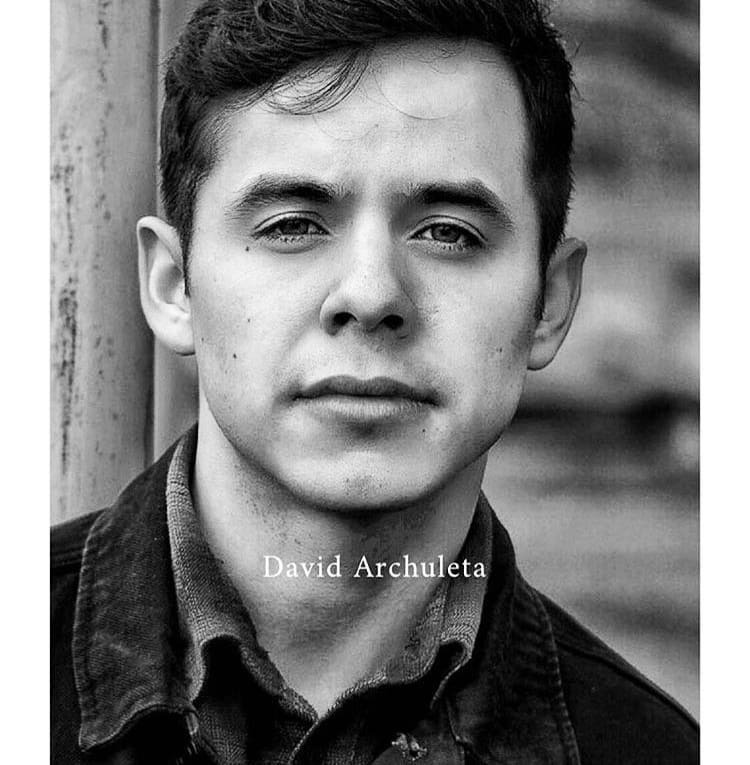 Tagged: Believe, David Archuleta, Happiness is a warm voice, hope, Imagine. You can follow any responses to this entry through the RSS 2.0 feed. You can leave a response, or trackback from your own site. Gladys – As a long time admirer of your comments both here and on other sites, THOROUGHLY AND UTTERLY BEAUTIFUL as with every word you ever write. I would be honored to meet you one day. Thank you again! I’ve said, the first day, half of my life was wonderful, but the second has exceeded my expectations. 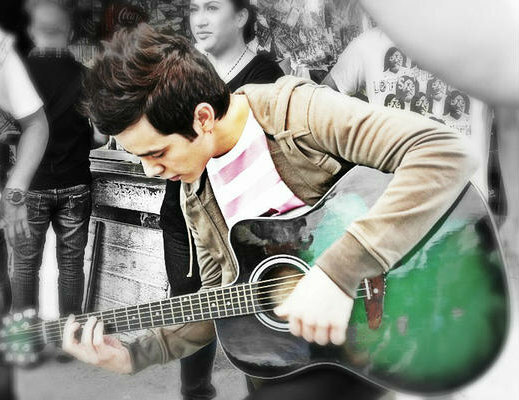 David should be declared, the eighth wonder of the world, but you have booked a wonderful place in my world. thanks girls. My feeling at this moment is priceless. Ohhh Gladys – thank you! !♥your article is absolutely BEAUTIFUL! Gladys, I am just about as excited for your next “half-of-life” as I am for mine. Our stories could be compared, as could many I’m sure! David is a giver of life to those who may have just let it pass by without much thought. Gladys, you made me cry. What a beautifully written article. “I started to listen to music again. I began to discover that not all moments of happiness need to be huge moments. And they don’t even have to be mine; the happiness of others can make me happy too. I learned to use social networking to communicate with friends around the world.” ← This is so meaningful! Thanks so much and best wishes as we all share this beautiful David journey together! Such a beautiful account of your journey as a David fan. I remember not long ago when you could hardly follow the conversation in unplugged and now you are the life of the party! I also remember Abrra pushing you to speak English and for everyone, /Djafan ❤ to speak in English to you so you could learn. Your desire to connect more closely to David, to understand him, forged a connection beyond him to all of us here, thousands of miles away. And even when you use the wrong word at times, we understand you perfectly because you always speak with your heart. That is something I always try to get across to others who want to write articles but don't think they have the skills. Just say what's in your heart; there is an eloquence in honest emotion that all our pitiful attempts at correct syntax can not convey. Thank you so much for your article, Gladys. Lovely. And…. happy, happy late birthday!! Oh Gladys; I add my appreciation and admiration for how beautifully you write and eloquently express your heartful emotions and insightful thoughts. You bring joy in what you share so muchas gracias desde el fondo de mi corazon! Hope you had a wonderful birthday and that one day soon you’ll be able to meet David. It’s truly amazing how David continually touches so many lives! Kaycee; So happy to hear the great news about your daughter … continued blessings to you and your family! This article is just beautiful. 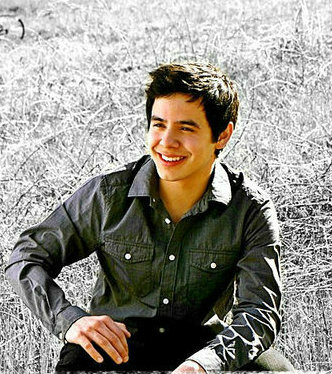 It would be lovely and a pleasure to meet you someday at one of David’s concerts. He has truly been a doorway to many wonderful and new friendships. Ojala mi traduccion haya captado tu emocion y sentimiento. Aveces me reganan por que te hablo en espanol pero las personas que hablan solamente un idioma no comprenden que hay ideas y conceptos que no son facil de traducir ❤ Angelica y Abrra. Y gracias a Bebereader por revisar mi ingles. This article is so beautiful. Dear Gladys, You are an inspiration. To think that not all that long ago,you decided to learn english becuase you wanted to understand David’s interviews and eventually communicate with other fans is amazing. Not only that, but now you are writing a heartfelt article of your journey. It is more than just the music! I can identify with much of what you say. Thank You. The way the jet stream is expected to be positioned during this winter’s La Niña will tend to drive storms through the Midwest and Great Lakes. Last year, the jet stream steered storms farther east along the Northeast coast, hammering the Interstate 95 corridor. Therefore, instead of New York City enduring the worst of winter this year, it will likely be Chicago. “The brunt of the winter season, especially when dealing with cold, will be over the north-central U.S.,” stated Paul Pastelok, expert long-range meteorologist and leader of the AccuWeather.com Long-Range Forecasting Team. Chicago, which endured a monster blizzard last winter, could be one of the hardest-hit cities in terms of both snow and cold in the winter ahead. Maybe things really do happen for a reason. Still may be more tour dates announced but it isn’t looking good, weather-wise, in the country’s mid-section. 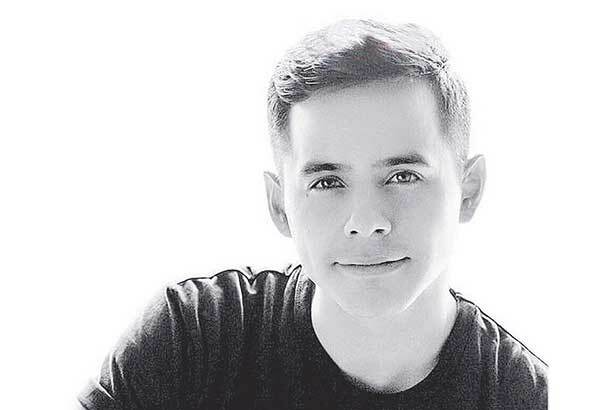 Your article speaks for so many fans who feel that David made significant changes in us when he entered our lives three years ago. I don’t quite understand it myself but there are so many people either in the states or miles away who are affected by his genius that I believe his energy is undeniable and if possible, came directly to us from the tv screen on AI. He’s a force to be reckoned with for sure. Muchas gracias for sharing your story with us, Gladys. Your writing is a pleasure to read and you’re are a joy to speak to in The Voice Unplugged. I give you so much credit for persevering and for not getting discouraged when the chatroom flies on Saturday nights. I sometimes have trouble following the screen myself so I can imagine how you feel with English not being your first language. 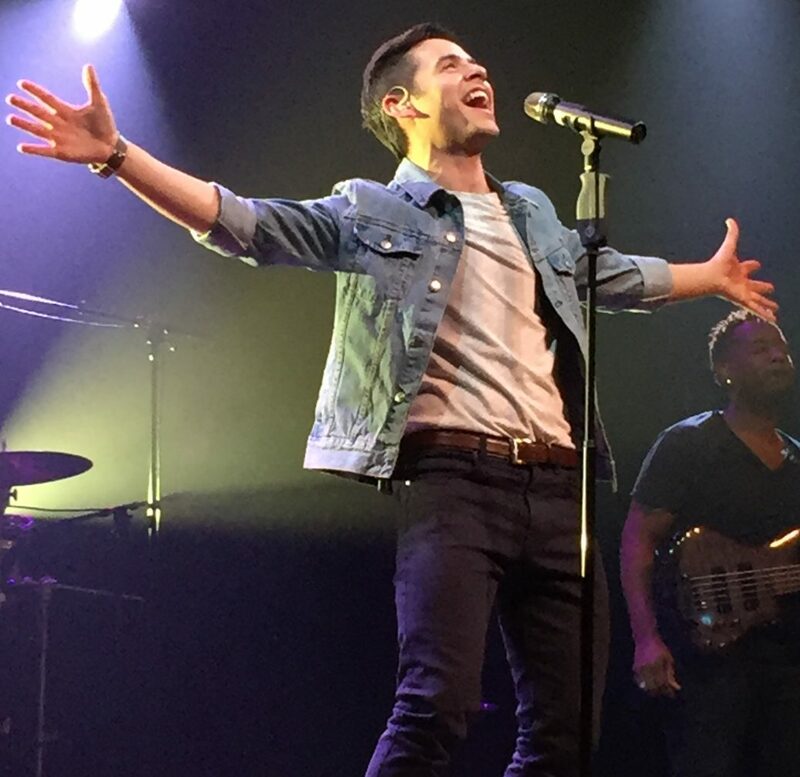 If wishes could come true, my wish for you is to experience a live performance by David and to meet him at a VIP. There’s nothing like it! Kudos to you for your perseverance–and you are a delight. I have no doubt that you WILL meet David, as it is meant to be! And boy,oh boy would I love to be there! Thank you for your friendship and being here at The Voice and for your wonderful article. wow, beautifully written article gladys! love it! 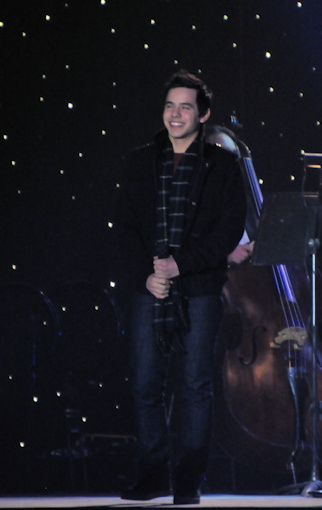 thanks for sharing…i hope that u get to see david perform live someday! on another note, i’ve read from FOD that there might be a big possibility that no more tour dates would be added, but there could be one more “far far away”. if this is accurate info,i wonder there is the “far far away”, maybe canada, mexico or perhaps argentina? Gladys,me encantó tu artículo!! I love it! specially this part >>>”David plants seeds in fertile soil, under the sun, in the rain, during cold weather and snow, sick with fever, tired, at times almost voiceless, but always with a smile, always prepared. I believe that three years of planting has been enough. Now David, it’s time to harvest. But we all know that David will never stop planting seeds, with every song, every appearance, and every contact with his fans” << Beautiful!! Espero algún día se nos cumpla el sueño de verlo en vivo y que venga a latinoamerica,te mando un beso grande y espero hayas pasado un lindo cumple!! I think David has opened my eyes as well. Thank you for sharing your story with us. It was beautifully said. Gladys, your article is superb!! I can’t even begin to pick a favorite part, because it all is. You have, finally, let us really, really feel your love for David. Those of us who have met you in chat know of your humor and devotion to David (and your great mastery of the English language), but this article is your love for him. You have caused a very warm and gentle feeling in my heart. Thank you for making a very coolish October night in Utah turn warm for me. Gladys, I would so love to meet you, and my greatest hope is that you meet David someday. 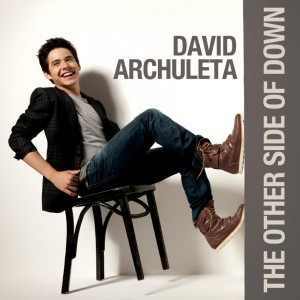 David has certainly broadened my horizons in the music world! Gladys, what a beautiful post. Thank you for sharing. And may I say how I wish I could speak Spanish…such a beautiful language. I have two children who speak fluently after serving missions, and I love to hear them speak. I don’t understand a thing, but it is such a pleasure to listen to them. And, Gladys, I am half a century old too this year! 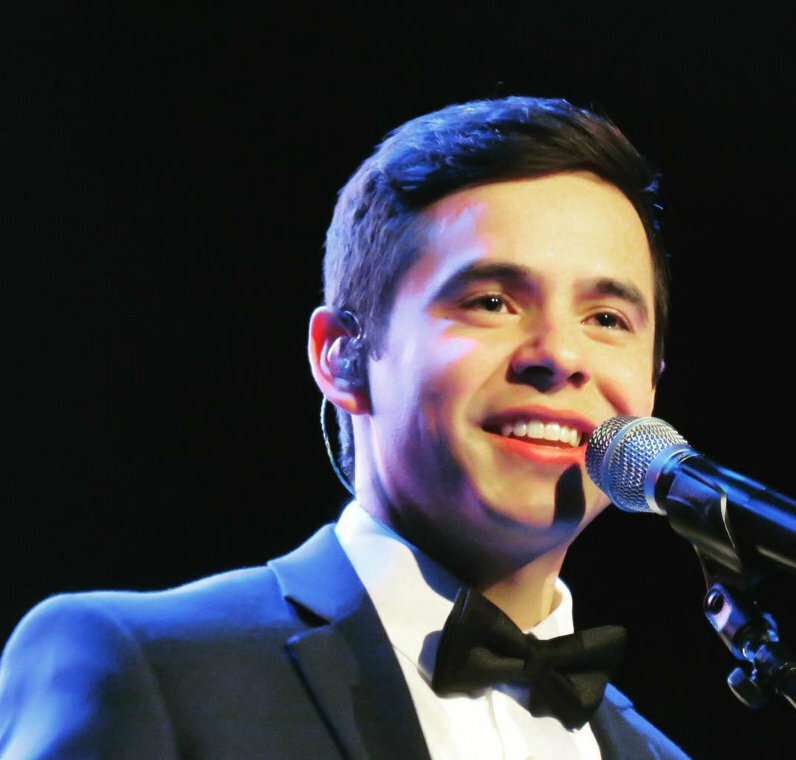 Tawna…yes, David at Tuacahn would be absolutely amazing! I so wish that could happen…one of the most beautiful voices performing at one of the most beautiful outdoor amphitheaters! Just booked my airfare for SLC!! Going to be so much fun!! There are mucho new events created for David’s MKOCT on Facebook. 🙂 Just in the last few minutes, they are popping like mad. And by new events, I don’t mean new dates or venues. I mean the same ones, they each have a page created just for that show. Whew. I am so very ineloquent. Hi Tawna, you googled it lol. I did a small edit, scold to get scolded. It is difficult to learn a second language. I immigrated to the US when I was 2 but when I started kinder I didn’t know a word of English. My parents ahead of their time in thinking decided to make me and my four siblings bilingual. Only Spanish was spoken in the house and English was to be learned in school. In school I wasn’t allowed to ask anyone for help, I was reminded that I was in the US and only English was to be spoken and when I’d get caught asking someone who spoke Spanish for help I’d loose my recess, not good memories. So I completely understand the challenges when learning a new language. Gladys because of David has come a long way. But it is her determination that has gotten her to this point. Like Betsy said who she was before David is important, in completes who she’s become. Angelica, David was at the Nokia!!! Thanks for those links. I’ve added the link to the MKOCT thread on the upper right sidebar for easy access. Lets continue to share what concerts everyone is attending and any plans or if you need any information that’s the place! Exciting times! Betsy, I love your invented words! Do you have any links? Gladys, I enjoy reading your posts because you speak from the heart and you convey so much wisdom. Great article! Betsy, thanks for the heads up…and ineloquent wfy. Blondie/Nico Vega concert, sounds like he is having fun. I know you have applied for a passport. 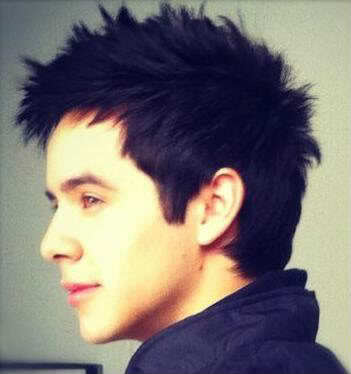 It’s just another step on the road to your dream of meeting David. Keep going down that road. It will happen. Woohoo! Cedar City is now official! No more “can not confirm or deny”! Tickets go on sale on the 14th!… I have a whole week to try and milk the tired budget for ticket money! Unfortunately no VIPs—the tired budget is really tired! Gladys, thank you for sharing your heartfelt story, David did disrupt our daily lives didn’t he in such a beautiful way I might add, before David came along my days was rather routine get up make breakfast, do the chores feed the cats and my family haha ect. after that faithful day when I watched this extrrreamly shy and good looking boy sang “waiting on the world to change” little did I know that he has changed my world for the better and I didn’t have to wait !!! lol 3 years has passed; I’m still here voting for him on every poll, sitting on the edge of my seat when he has to sing at a big event, waiting and reading every bits of news and comments on his fansite(s) and loving (assuming) that I’m a part of his fantastic fans community such as “The Voice” 🙂 , I’ll be here not going anywhere, this is such a good place. Gladys, I have to salute you for being courageous and persistance in persuing English for the love of David, you’re such a good example to all of international fans to just go for it and never quit, thanks to David “the things he made us do” lol. Make sure to check the MKOCT page for updates. Two of the recent adds are an sale today at 10am. Here’s the link for easy access. #12 – Right on djafan!!!! Still hoping for at least one Midwest date for my friends who need to be making their travel plans. I made flight arrangements to another event (not DA-related) today and the prices are already jumping up for the end of November-December. Freo, Still hoping with you! Getting so excited for this tour! 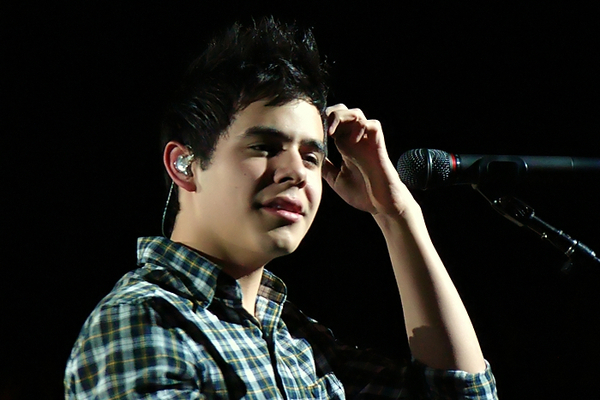 My gosh, Abrra, that picture (#37) is beautiful, and yes, everything about David IS in that photo. If I were to never see another picture of him (heaven forbid !) this one is etched in my mind (seriously). Yay! Jans11..you have your airfare! Kaycee, did you just want to ‘reach out and touch’ the “cannot confirm or deny” guy on the phone?! 47. DAK! I noticed that too! Wow. 46.Tawna, can’t believe its snowing in Utah! Is that normal for Oct.? Tomorrow morning, I am heading to Florida, to see my wonderful Dad.♥ He will be 93 later this this month.My sister was just there and thinks he may possibly have had a TIA episode since her last visit Sometimes that does result in something of a change of perception, or even personality. (I have noticed myself on the phone calls to him) If that is so, I am praying the changes are temporary.I am anxious to see him tomorrow. I will miss chat this week,:( so much fun. For anyone thinking about going to Verona it looks like there’s about 70 seats left. Check out the interactive link. Bebe # 45—-Awwww loved re-reading that article–gads he has got to be one of the most especially specialistic ( new word) special people in the world. It’s a shame these articles have to be lost in the archives–why doesn’t some one make a book out of them— It would hold some of the best reading you’ll ever find. I’d buy it!!!!! I have to and want to live through the rest of the day. Wonder if Gladys will want a law to ban snaps too!! Looks like the ‘ol razor might get daily use now ( or twice). One more thing—pecs!!!!!!! Do you think I stare at these pictures to long? Nah! 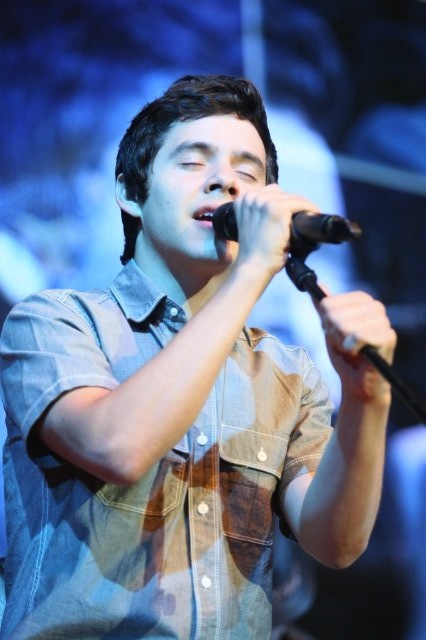 “when David sings, I believe him”. Oh, Gladys, that is exactly what draws me in. Thanks for putting in to words what we feel. You are very eloquent. Great to hear Jans11 has her air tickets. She was hanging in for a better price, and it worked for her. Yayy!! Can’t wait to get together and talk the David talk. I can stand between Jan and Tawna and be the tall one. Love that. Got my Idaho tickets today!!! Shaking over the keyboard, but had support from a coworker who helped scrape me off the ceiling. By the time we got through all those lines to fill out for VIP Nation she was as excited as me. Shauna and Patti are also going to Blackfoot. It is so great to see all of this coming together after waiting sooooo long for this Christmas tour. WOW, 70 GA tickets left in the beautiful Turning Stone Casino Showroom for David’s Christmas show? That is great! Now if only the VIP’s would also be Sold Out there. See what David makes us do? But we figured we may as well hit them all, since we will be there anyway! In retaliation for the pictures, which made me miss David very, very much—here’s 11:58 uninterrupted minutes of the David at his awesomeage self. I especially get a hoot out of 2:58 thru 3:22 –little flirt!! Gladys, a beautiful article, just like your comments!!! Silverfox, I did the same thing! I was waiting for a date closer to me, but I was concerned I’d be shut out altogether so I bought a VIP to Verona. 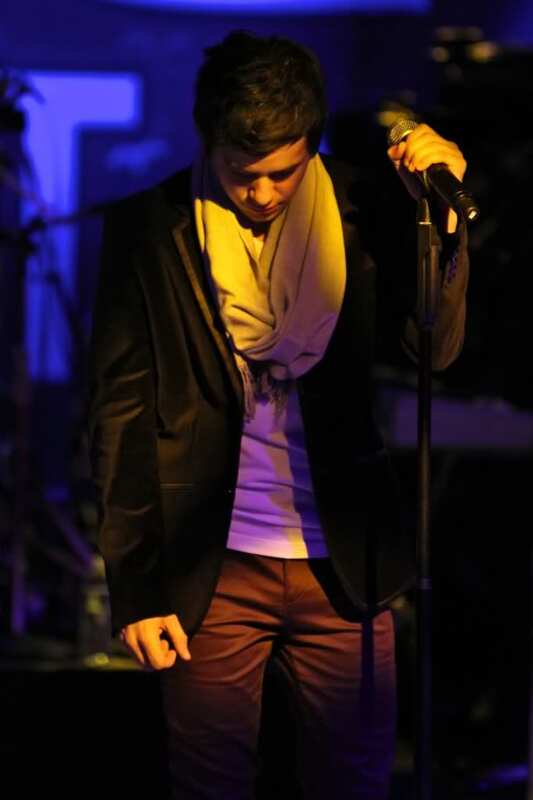 I feel badly for the fans who are not able to travel and may not be able to see him on this tour. I know! It is difficult and I really have to think and think hard before I make travel plans to see David. For me, it’s a matter of not being responsiible for anyone but myself. But even so, I have to be practical. If I had children at home, traveling to see David would most likely not be a possibility. Being an older fan does have it’s perks for that reason. I wouldn’t want any fan of David to do anything which would cause a hardship for them or their family. David wouldn’t like it either. dakgal ~ I’ve never seen that video before. It was just great! Gladys ~ your thoughts are so eloquently written. David has enriched my life on so many levels. I think he has made me a nicer, kinder person. I always enjoy reading your comments so keep up the good work! I do believe you will see David in person one day. Sky#48 Safe travels to you. Hope you find your Dad doing well and that you spend some precious time with him. We’ll be waiting for you here when you get back! Dayzee, Silverfox and Freo WTG! Congrats on your tickets! Silverfox, I look forward to meeting you! Will you be doing the VIP? There are folks there who I’ve never even met in person yet. I am so excited and it will be great to see another part of the country. Aaagh, that video……Now I’m sitting here cryin’. lol. Thanks..I think? Why must he smile like that and be so beautiful? WHHYYYY? Dayzee, so glad that you going to another concert! And with Shauna and Patti! Good that Patti is feeling well enough to go. Bless her heart. The weather here has been unusually beautiful which means we will owe a huge debt to Mother Nature and I’m sure we will pay dearly very soon. I was reading a few quotes in the news this morning by Steve Jobs. This one sounds like one that David might appreciate..
Gonna post a blog today soon! Lovely quote ♥ Words to live by for sure. Some of us take a long time to learn this. Bebe, Abrra, Angelica, Freo, SF, Jans, Dayzee, Patti, Shauna, Annie, all the others going to see David how are we going to survive the waittttttttt! He makes me nervous. While I am watching, I think that he is going to say that he is going to the outbacks of Australia or a rainforest in South America. He does make me a little nervous in that regard! 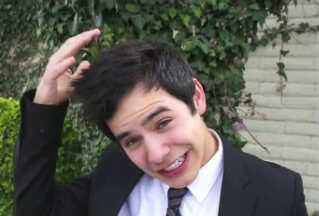 So yes David, that was a very nice vlog! I love the sounds of the road trip, we should all have one like that where there is nothing but nature in front of us. Oh my heart. ♥ Isn’t he just a treasure the way he adores children? Burkley was precious! And road trip ftw!! So glad to know he had a lovely weekend enjoying family, his grandma, a cousin’s sweet 16 birthday and nature. I was stationed years ago at Fort Ord in Monterey close to Carmel and then at a post near the Hearst Castle and San Luis Obispo. Gorgeous area! A little road trip??? Is he involved??? Who him? ^ Well now, he might have a little something to do with it. David on the Real Winning Edge aired today in Florida!!! David is such a natural. It’s easy to see now who the real winner is since David parted ways with Jive. #77 Abrra, I absolutely love that photo! 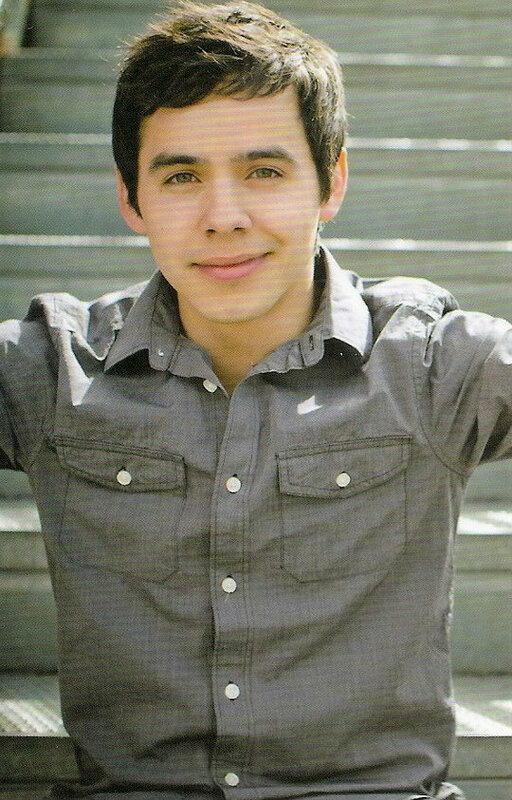 David Archuleta will be performing at Foster Festival in Okinawa, Japan on October 15. Fans in Japan can now stand a chance to win a Meet-and-Greet with David on this day! What is your favorite song on the “The Other Side of Down: Asian Tour Edition” album and why? This contest is only open to Japan nationals aged 13 and above who are eligible to attend Foster Festival. Each person may only submit one entry. All complete, valid entries will be entered into a lottery where 10 winners will be randomly picked to meet-and-greet David. Contest closes Wednesday, October 8, at 11.59pm JST. Winners will be notified via email shortly after the contest closes and are required to confirm receipt of the prize within 24 hours. Prizes are not transferrable and do not include transport, accommodation and admission to Foster Festival. Contestants who have won meet-and-greets from other organizers will not be eligible to take part in this contest. Abs, that was my favorite line. Not only the meaning behind it, which is true (and so good to hear David say) but also because this man remembered it all this time later and referenced it. p.s. I really like the Gin Blossoms. In some weird random universe, one of them is distantly related. My brother in law’s second cousin, lol. Bebe – so glad that the Japan fans have a chance to meet David! Lovely post Gladys…you’re a great writer! 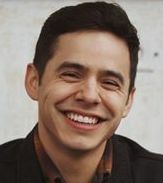 My adorable, magical, musical monkey-boy pretend-imaginary son, David Archuleta — the kid I lost at the mall in 1997 whom some nice family in Utah found and raised and he’s just fine — rings in Jesus’ birthday with the Mormon Tabernacle Choir and I couldn’t be happier. Watching the MOTAB Christmas specials every year was already a family tradition for ages, but having The Official Cutest Human Being Ever Born (well, at least since Jesus himself) as this year’s guest just makes it that much more special. No, my impulse to take Archuleta home, give him a room, a basket of kittens and cupcakes, and pay for his college will likely never come to pass. But events like this, the Mormon Tabernacle Choir Christmas Concert, is the next best thing to having him in your living room, giggling, gasping and warbling angelically. 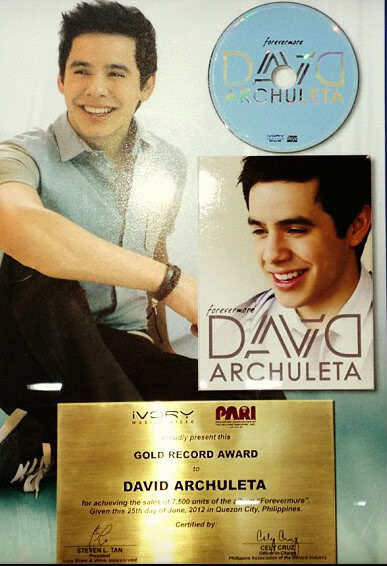 Why the American music industry ignores (and, in fact, actively squelches) talented, money-making and popularity-poll winning people like Archuleta while giving all their support and promotion to magazine cover-ready kids who can’t sing and need Autotune 24/7 is a mystery — except that the latter are easier to “control” (i.e., yank the Autotune chord, and their careers are over). Meanwhile, David’s a significant star overseas. We need more David Archuletas. Not fewer. That pic at #77 should win an award! Betsy, I’m so excited for the Japanese fans too. They’ve waited so long. 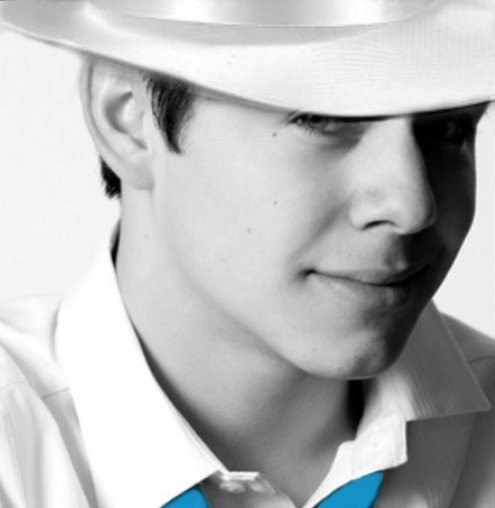 I know it’s wishful thinking but I hope sings “Save The Day”, the bonus track on his first cd, Japanese edition. Bebe, I found you a bling today to go with your bracelet!! Angelica. I have an email for you just incase you don’t go there anymore tonight! #77, I think that he knows what it is like for people when he touches their hands,but it is not easy to describe. SandyBeaches, You’re so good to me!!! Thank you! His friend Berkley is adorable. Love the thought of him getting to road trip, even if it was a short one. “significant star overseas”, great example of the sad state of pop music in this country. Thanks for all the beautiful pics in this thread.